To most people, the thought of not shopping for a month sounds like no big deal. I haven't always worked in the fashion industry, so I absolutely get that. But now that I'm a fashion editor, shopping is a part of life. Similar to other professions, it's important for an editor to look the part, and for me, that means keeping up with the latest trends and having a wardrobe equipped with stylish options for whatever occasion may come up. And professional duties aside, I really enjoy shopping. In other words, a month was a significant amount of time for me to take a break from putting down any cash on clothes. So why did I decide to embark on this journey? Simply put, I needed to reassess what I buy and why I buy it. 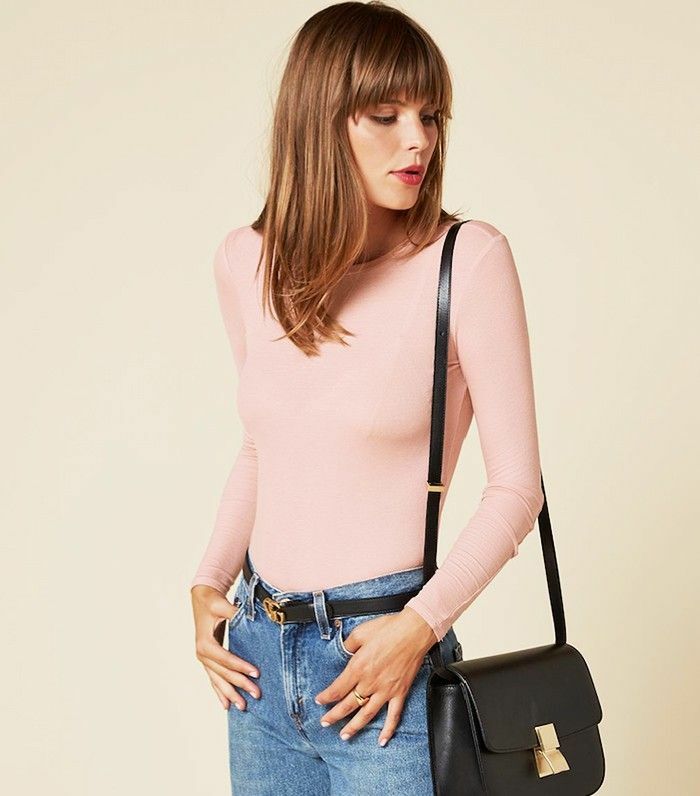 It's very easy to get into the habit of wearing all-new pieces and losing sight of older pieces in your wardrobe that you once loved and chose to spend your hard-earned money on. I wanted to take a step back and take stock of the items I already owned. I hoped the break would help curtail my habit of perpetually buying the same types of things over and over (how many pairs of denim shorts does one girl really need? ), and instead aid me in filling in the areas my wardrobe is lacking. I also hoped the experiment would help me to be more creative with what I already have in my closet and build fresh new outfits with long-forgotten pieces. So how did it go? For starters, I quickly realised that late summer was not the best time of year to stop shopping cold turkey. Shiny new boots, sweaters, and coats for fall immediately beckoned, and resisting their call took significant willpower. But I think that the most challenging thing about it was seeing something I loved and would have typically purchased in an instant, completely sell out while I was detoxing. Since the detox, I've become more thoughtful about my purchases and less impulsive. I've unearthed some gems from my existing wardrobe and made more of an effort to shop my closet instead of Zara's new arrivals. I plan on taking more shopping detoxes in the future, but perhaps a little more well-timed on the next occasion. The most fun stage of the experiment was undoubtedly the shopping list I formed in the midst of detoxing. Taking more time to pause and think things through made for a more curated wish list comprised of pieces that I'll actually wear on multiple occasions, this season and beyond (and a few just for fun). Swap your neutral-colored layering pieces out for a pretty pink one, as I plan on doing! If you splurge on one accessory this season, make it these. These are truly special and unique. This rusty hue was all over the A/W 16 runways. I filed nice belts under "things I don't have" while mid-detox. Corduroy is experiencing a revival this season and like it or not, winter is coming. You can't have too much velvet this season. I plan on pairing this with all of my high-waisted jeans that I have no tops to wear with. Found in my closet: a sweatshirt from the sorority that I joined for six months. Time for a refresh. This looks so cosy and broken-in. Every fashion editors' favorite mini bag, now featuring a strap! Here are five fresh ideas for re-styling your T-shirt collection… so you don't have to buy any more crew-necks for now.